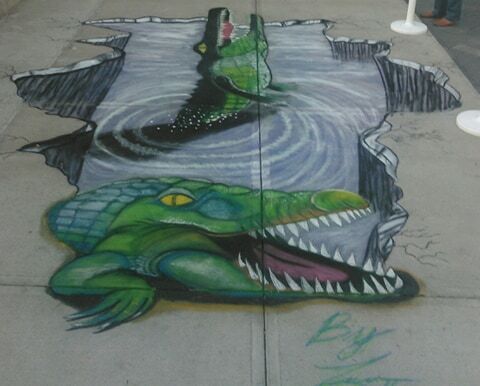 Beth has participated in the Palatka Chalk Explosion several times as a featured Artist. 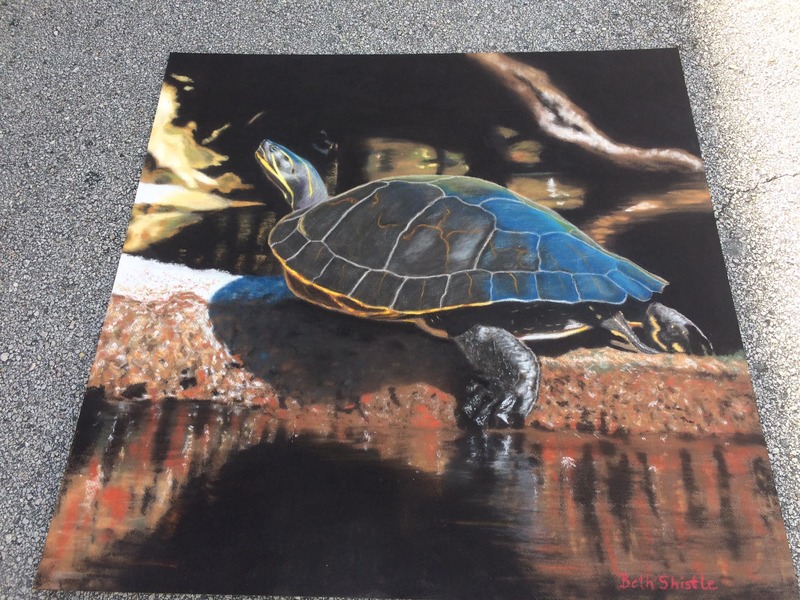 Beth Shistle is both a fine artist and street painter who creates in and out of her studio in DeLand, Florida. She loves to explore the natural world and the world of art by working in different media, but favors acrylics and pastels. Chad Wallace was born & raised in Toledo, Ohio before attending college at the Savannah College of Art & Design where he earned a BFA degree in Graphic Design. 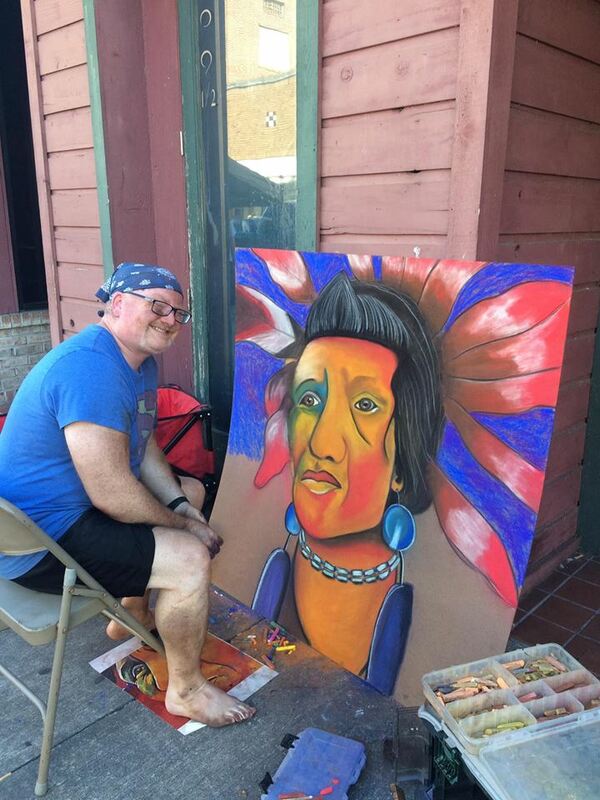 Chad has had his paintings & photography shown in over 60 galleries all over the United States. 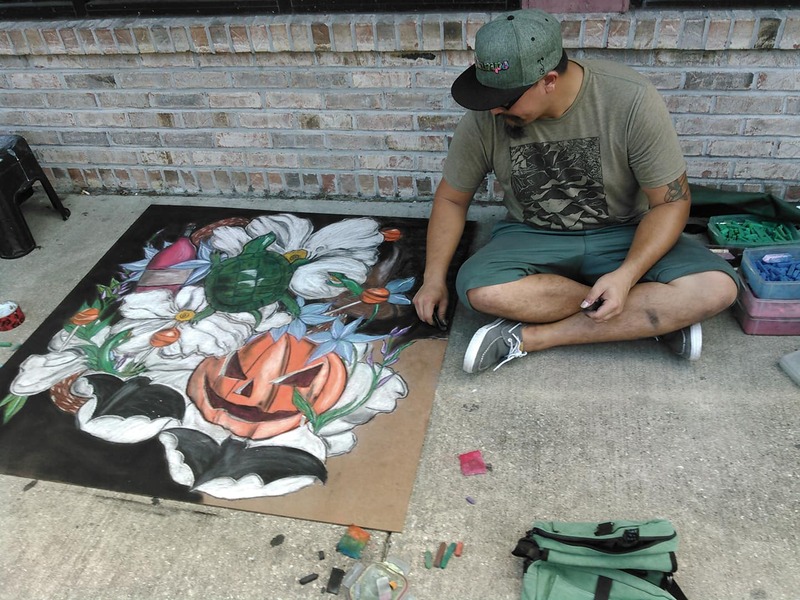 But it wasn’t until a year & a half ago that he moved to Tampa with his wife Shelly & there 2 sons that he found a love for chalking… In the last year and a half he has become a member of the Florida Chalk artist Association & the Georgia Chalk Artist Association. 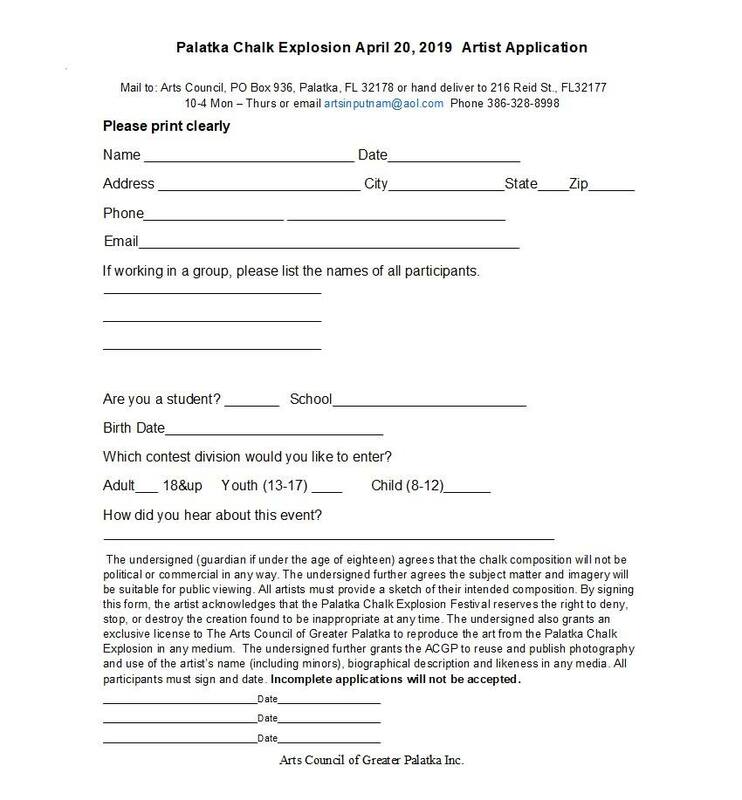 Participating in 16 festivals & events earning him a a Semplice Certificate & he has almost earned his Qualificato certification… over the last year he won Mayors Choice Award at the St. Pete chalk fest, People’s choice award at Ruth Eckart Halls chalk event & Best in show at Palatka’s Chalk Explosion. 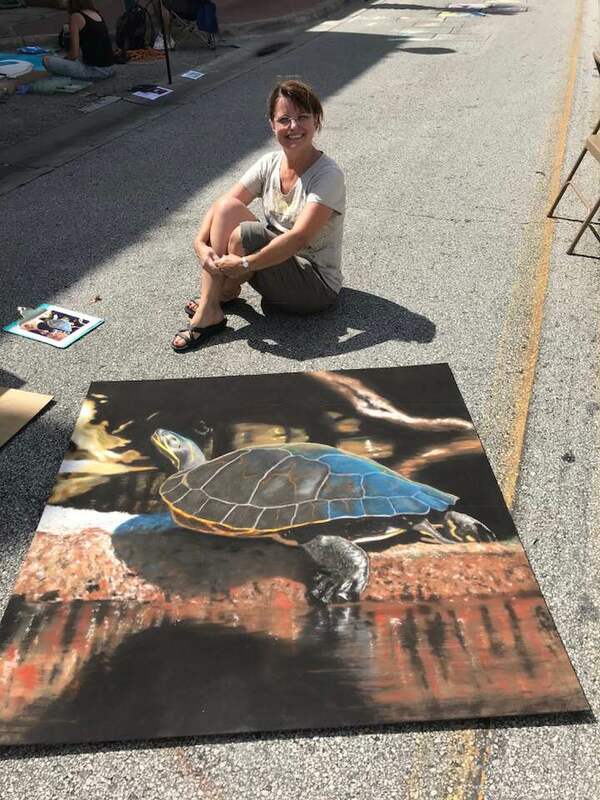 Janet P. Tombros, a resident of Mount Dora, Florida, is a certified “Master” Street Painter through Florida Chalk Artist Association and an established acrylic artist on both canvas and murals in the central Florida community. 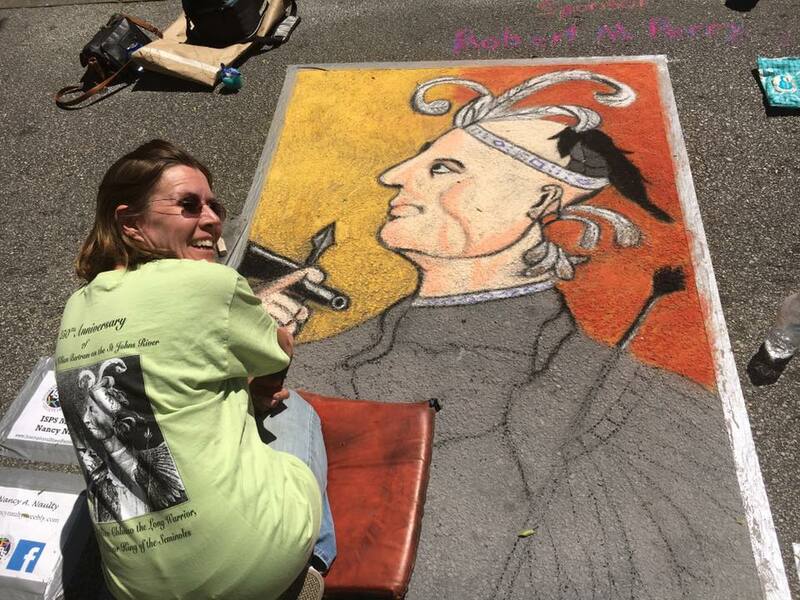 Janet has been a featured artist at many Chalk Festivals throughout the United States and is currently teaching Chalk Camp for beginner and intermediate students. Nancy A. Naulty is a freelance artist and photographer. 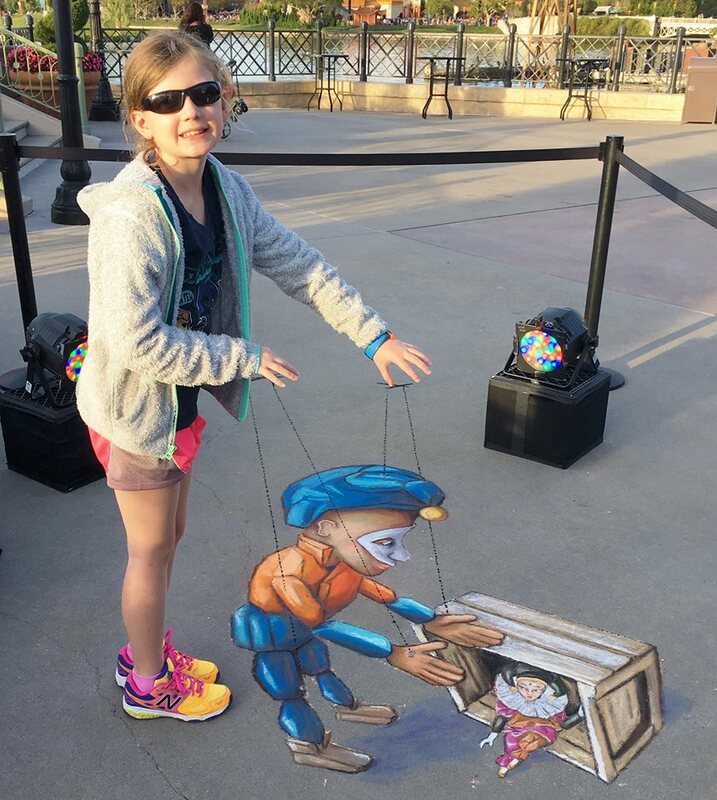 She specializes in many different mediums. 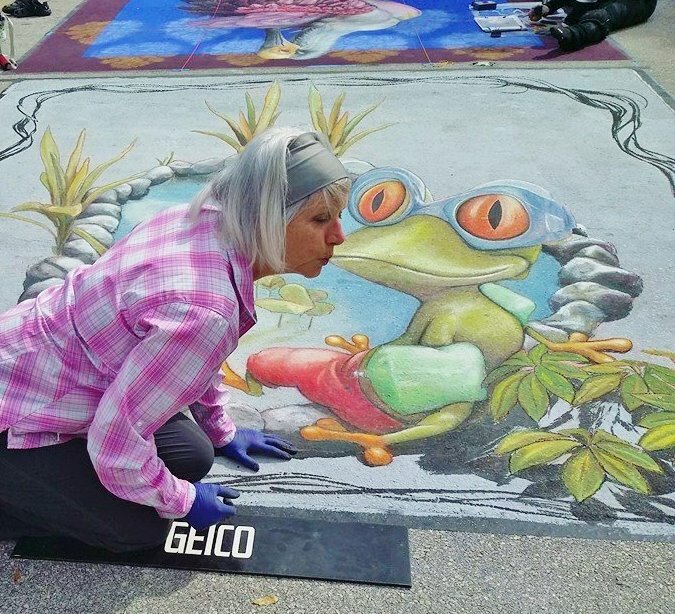 She is a designated Master Chalk Artist with the Florida Chalk Artist Association and a member of the International Street Painting Society. She is employed as an artist at Painting with a Twist in Lake Mary, FL. 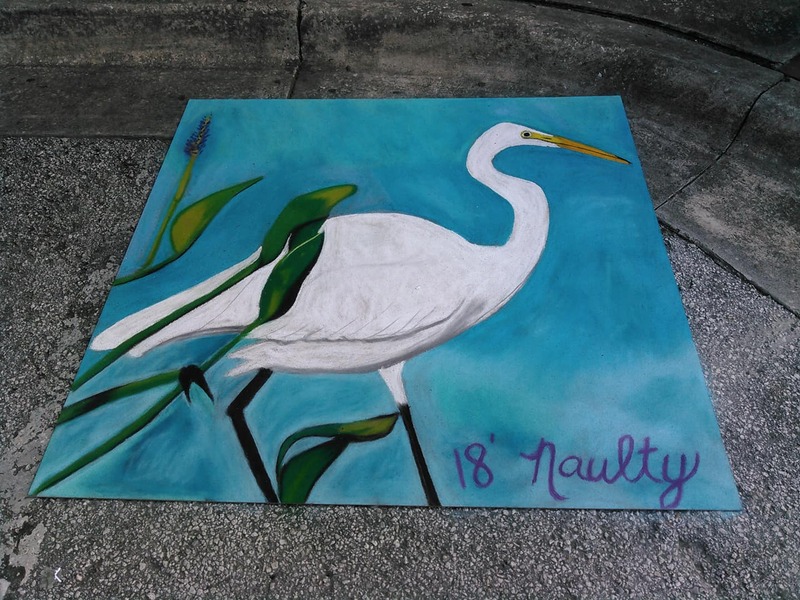 Nancy is also an established muralist and has completed several large scale murals for businesses in Central Florida. 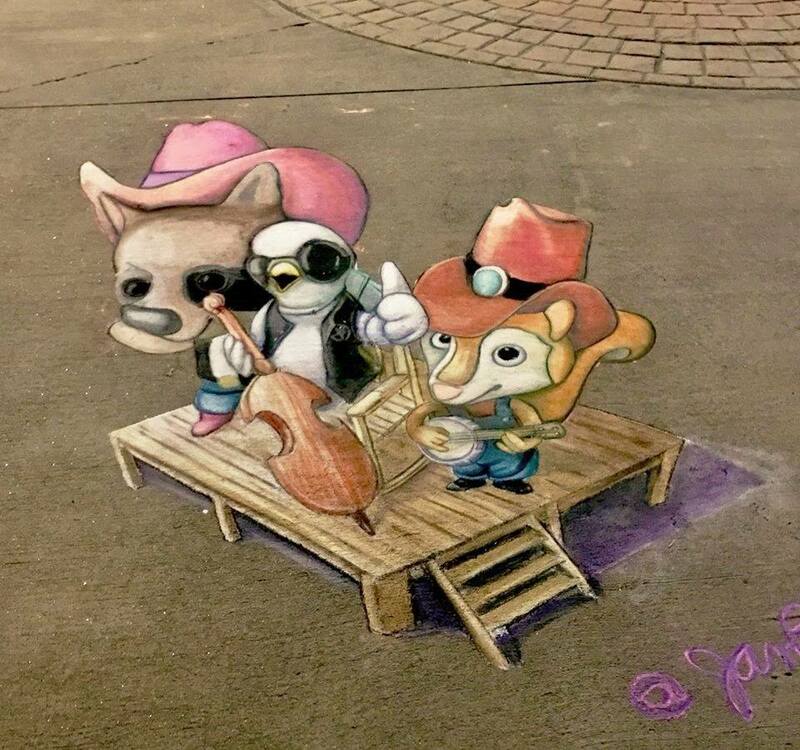 She has over 12 years experience as a chalk artist and has participated in many street painting festivals across the state of Florida. Nancy enjoys gardening, music, playing guitar, cooking, boating and fishing. She is a foster mom to abused and neglected animals with the Animal Rescue Konsortium in Deland, FL. Born in Lawrenceville, N.J. she graduated from Lawrence High School with an Award in Art Excellence. She now lives with her husband and son in Orange City, FL. © 2016 Arts Council of Greater Palatka The Arts Council is the Designated Local Arts Agency for Putnam County and is supported in part by our members, the State of Florida, Department of State, Division of Cultural Affairs, the Florida Arts Council, The City of Palatka, the Putnam County Commission and the Putnam County Tourist Development Council. Site provided by Got SCHWAG Promotional Marketing.